Wide choice of profile design and colours to choose from. We are a Building and Plumbing Merchant based in Sittingbourne, Kent. Established for over 30 years. As proud sponsors of Sittingbourne Rugby Football Club for many years we have also provided funds for youth sports teams in the surrounding area. As well as being long time benefactors to the Children with Leukemia Charity. 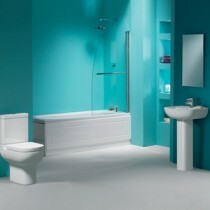 Specialising in a wide range of plastic and plumbing products for both trade and retail customers. 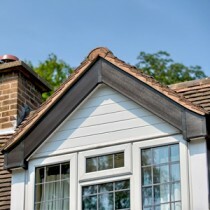 These consist of Deeplas PVCu fascia and soffits with all the associated accessories. 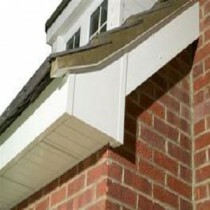 As well as one of the most extensive guttering ranges in the southeast. 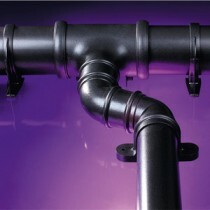 Floplast and Polypipe guttering, soil and waste systems. Including MDPE water fittings from 20mm – 63 mm and 110mm - 160mm underground pipe and fittings. Speedfit pipe, fitttings and underfloor heating (push-fit system) also available. We are pleased for anyone to come and visit our 1500 square foot Bathroom showroom for ideas and advice from our friendly and knowledgeable staff. 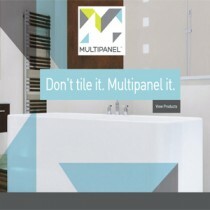 We also have on display various wall panel and flooring systems. Which are quicker and easier to install than the more traditional tiles. With the Grant Westfield Multipanel, Deeplas Décor and Jaylux Dura Panels as well as bathroom products from a wide range of quality suppliers we are confident we can find your ideal bathroom suite. Standard size hot water cylinders and radiators are stocked. With decorative radiators and a range of boilers available to order. Honeywell programmers, room and cylinder stats and other general plumbing and heating controls are available. Our stock of powertools which include Makita, Milwaukee and Dewalt are complimented by a large range of hand tools. And our suppliers can provide thousands of different products from the likes of Stanley, Irwin, Faithfull and Ox as well as other ranges. Usually available next day. Standard size Polycarbonate roofing sheets and snapfit bars are usually available from stock. With other sizes and bar systems to order. Deeplas Skypods for bringing light to poorly lit areas are proving quite popular and are quick and easy to install with a good turn round time. Corrugated roofing sheets (6’- 12’) and accessories are stocked. Ultraframe roofing system to order. To compliment the Burbidge range of timber mouldings we also stock a large quantity of metal and plastic profiles for all those little jobs around the home. And to help fix all the different profiles and boards we have a huge range of ForgeFix nails, screws etc and Bond It silicones, sealants and adhesives. A recent addition to our expanding range of goods is the Versa UPVC door and window furniture. Which consists of universal door handles which are designed to overcome the problem of getting an exact replacement. The same is also true of their door locking mechanism and window handles. We offer a free delivery service in Sittingbourne and the surrounding areas including Sheerness and Faversham. But this area is flexible. As we are an independent merchant and being part of large buying group, we can procure products from a wide variety of sources. Which enables us to find the more obscure items or at least point our customers in the right direction. So, it is always worth giving us a call as we will endeavour to overcome any problems or queries you may have. 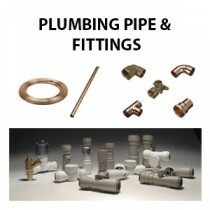 So, for all your plumbing and building requirements make MJ Plastics your first call. And speak to the people who care about YOUR needs. 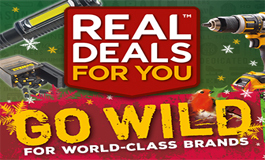 A range of gift ideas from major brands. The John Guest Speedfit Underfloor Heating has been designed to be quick and easy to install.